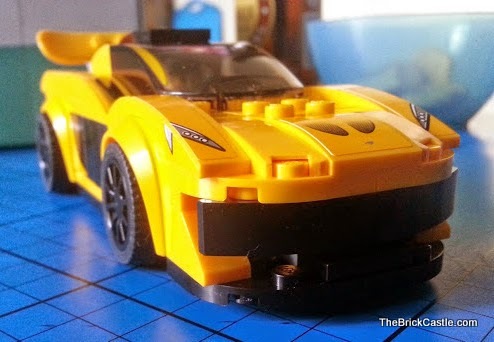 Following on from our surprise purchase on Sunday, my partner went back to Smyths today and bought a couple more of the LEGO Speed Champions sets. 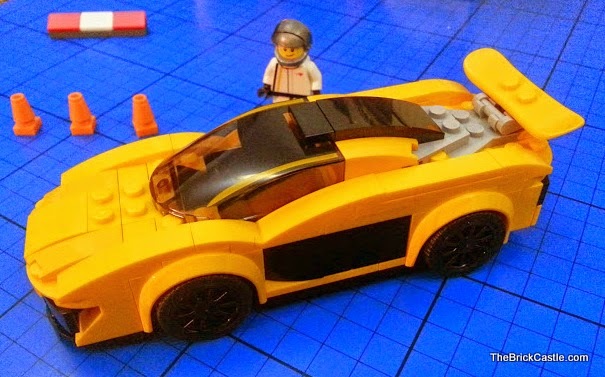 Sadly our budget doesn't allow for the Ferrari Truck, but we did get the McLaren P1 hybrid supercar set 75909. 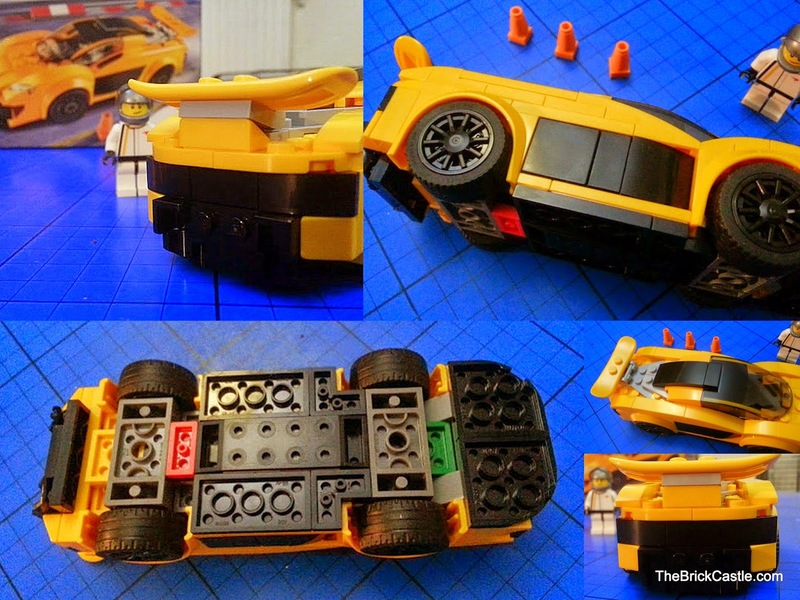 As with the other sets, the bricks are in 3 un-numbered bags, with 2 instruction booklets, a bag of interchangeable wheel trims and a full sheet of stickers. 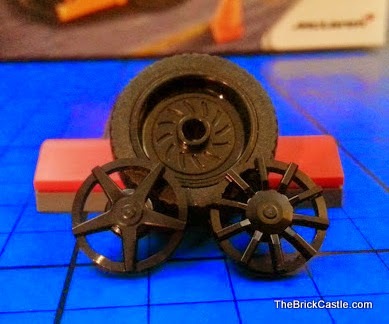 A nice quick build, and our youngest attempted this one. 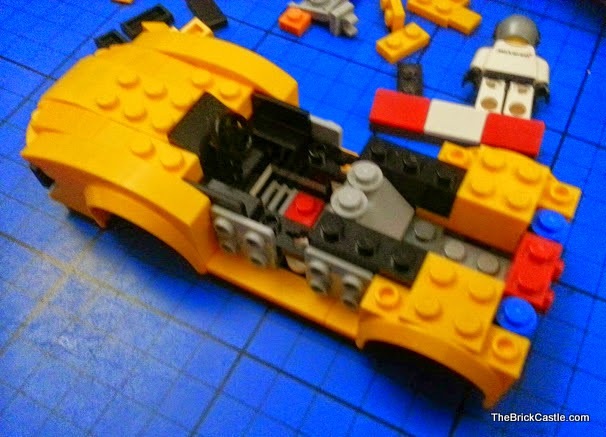 At nearly 5 he was capable of following the instructions, but it's right the age suggestion is 7+ because it doesn't offer enough initial reward for a younger builder. 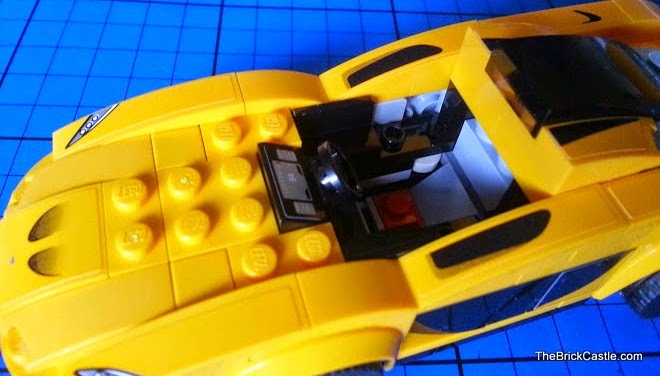 As with the Ferrari and Porsche, the McLaren P1 has 2 full sets of wheel trims which you can change in only slightly more time than a genuine pit crew. They don't come off during rough play by 2 small boys either! It's pretty gorgeous, and very yellow, with a nice use of the cockpit roof canopy and tiles to form the sweeping arched roof. The dash isn't quite as exciting as the LaFerrari, and it's going a lot slower, but the internal detail is special. 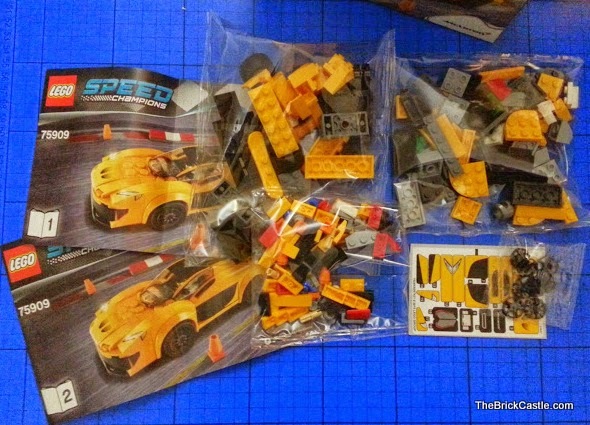 LEGO Speed Champions is a new range due for release in March 2015. 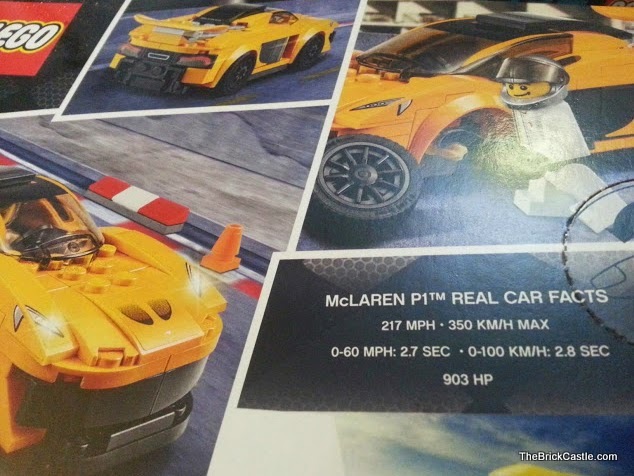 There are 7 sets with 8 different fast cars, a truck and pit crew. Prices vary depending on the size of the set. 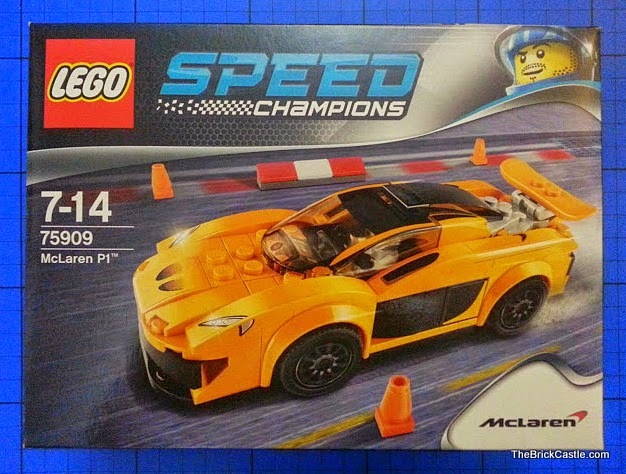 The McLaren P1 set 75909 retails at £12.99 and we make it around 174 pieces. We've also reviewed the Porsche 918 Spyder (our review is here...) and the Ferrari LaFerrari (our review is here...). 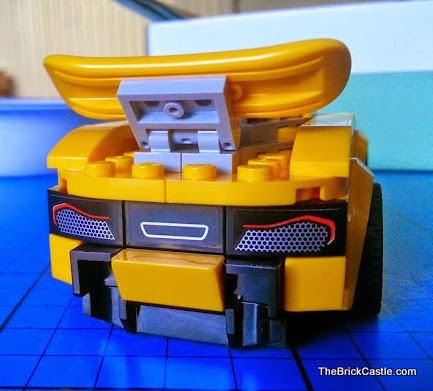 All of the Speed Champions sets have a recommended age of 7+ for builders, and it's our opinion that it's 3+ for drivers. 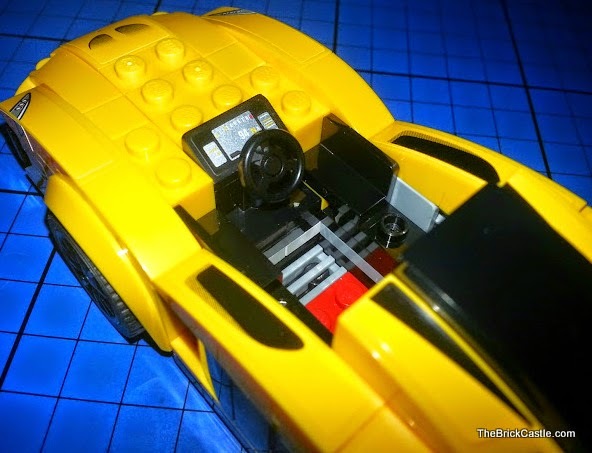 Excellent value, excellent playability, great design and an interesting and clever build. :D They are a bit special!! My other half is very much enjoying them. This is cool. 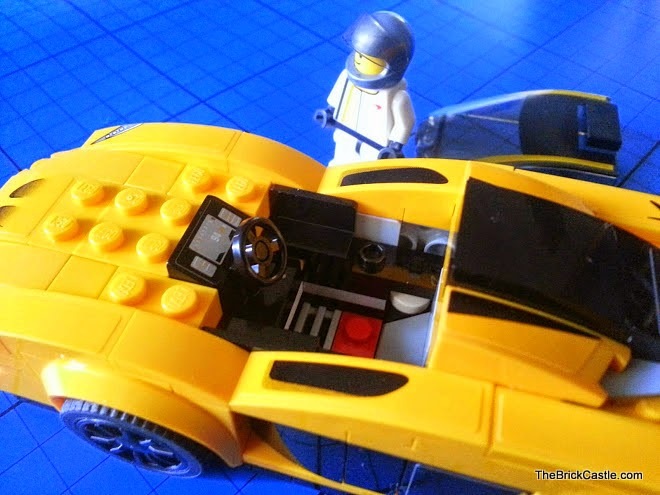 My two love building Lego cars! Love the spoiler on this! This looks like another great addition to the set, and one I can see adults happy to collect. The snowboard is genius! such a great value car! I love the colour and the details on it. 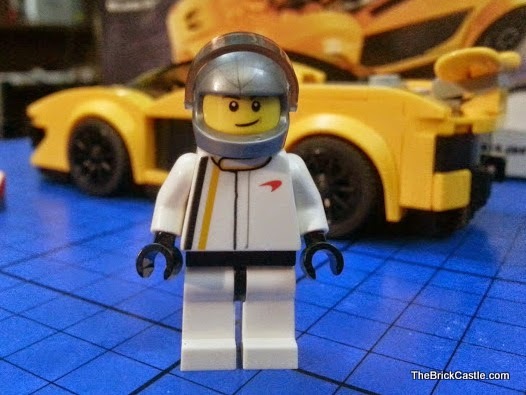 Lego Super Cars would be right up my partner's street!